I couldn’t be happier with what Nate and his team have done with my car. Outstanding craftsmanship and customer service. Buckeye Classic Car Restoration is solely dedicated to high quality car restorations. Our expertieses cover a variety of vehicles including, but not limited to classic models, sports, vintage, antique, and special interest automobiles. We are located Canfield, Ohio and serve the surrounding Youngstown area, including the remainder of the Mahoning County valley! From painting cars to tips and tricks on sourcing hard to find parts, our informative video series shows what goes into restoring and maintaining cars the right way. Click to watch episodes of Cruizin’ with the Buckeye Guys. At Buckeye Classic Car Restoration, we pride ourselves in putting outstanding, quality workmanship into each project we undertake. 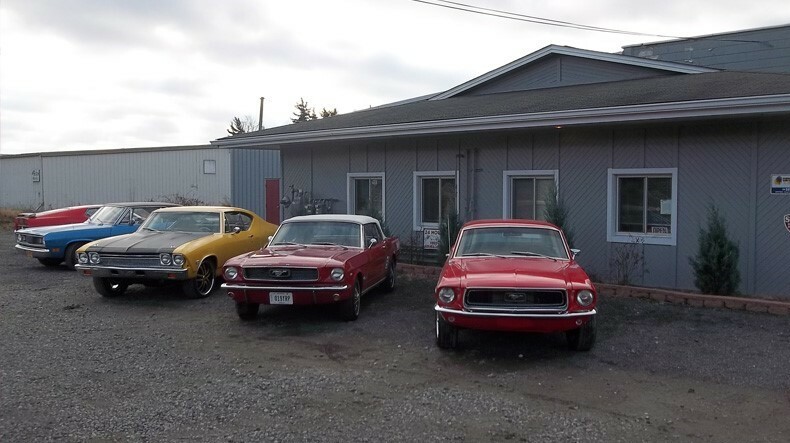 Click here to view several of our projects in various states of the restoration process, as well as completely restored cars.